A Labor MP is pushing for the Federal Government to examine whether separated parents should be forced to provide proof of how they spend their child support payments. Labor’s Member for Greenway in Western Sydney, Michelle Rowland, has asked a parliamentary inquiry examining the child support system, to consider whether parents should be accountable for how they spend child support money. “Many parents feel as though their child support is going toward items which provide no direct benefit to their children rather towards expenses which help maintain their former partner’s lifestyle,” Ms Rowland said. 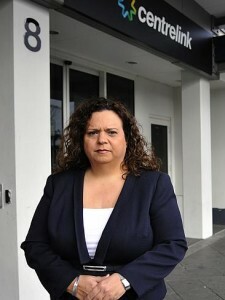 The MP told News Corp Australia that one of her constituents had raised the controversial issue with her, complaining he was at a loss to understand where the child support he paid was going, because his child was dressed shabbily and needed serious dental work. “Whilst I can understand that this may be challenging from an administrative perspective, many of these parents believe that there should be some accountability whereby parents receiving child support are required to provide evidence of the way in which the funds are being expended,” she said. “This would help to allay these concerns that their children are being neglected or not properly provided for, despite the child support that they are providing,” Ms Rowland said. Director of the Men’s Rights Agency, Sue Price, said non-custodial fathers often raise fears their child support is not being spent on their children. “For a lot of them it isn’t, it funds the mothers’ lifestyle, and what adds insult to injury is they don’t get to see their children — that’s the worst offence. But Ms Price said she did not think it was wise to introduce a system where the child support agency, or another body, scrutinised what custodial parents spent their child support on. Instead she proposed all child support payments should be limited to “a reasonable amount” akin to the support provided through the Federal Government’s Family Tax Benefits. Social policy expert Bruce Smyth, an Associate Professor at the Australian National University, also warned against the move. He said attempts to police how child support payments were spent could end up becoming yet another lightning rod for tensions between former partners. “This approach runs the risk of turning parents into petty accountants,” Professor Smyth said. Many father’s groups have however been arguing for placing child support in trusts, to be utilised on agreed expenses such as food, clothing, schooling, healthcare and other non-contentious expenses. This they argue would provide a lot of transparency on where the money is being spent, which many fathers argue is the real cause of much post-separation tension. Professor Smyth, who was a member of the Federal Government’s last Ministerial Taskforce on child support, said the sad reality was that for many families in the child support system there was simply not enough money to go around. Will Family Law change under a Coalition Government?